Polymaster offers stock watering tanks which are designed to ensure large water reserves at all times. They are ideally used in conjunction with pipeline applications. These stock watering tanks feature an inspection cover as well as a 25 mm float valve mounted in the bottom of the wall to maintain the water level in the trough. 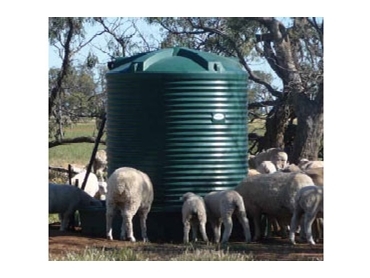 These stock watering tanks also offer a 4,500 litre water holding capacity, as well as a full float cover to protect the valve from stock damage. They have a 25 mm tank inlet and 25 mm float valve supplied, as well as a 75 mm drain bung.